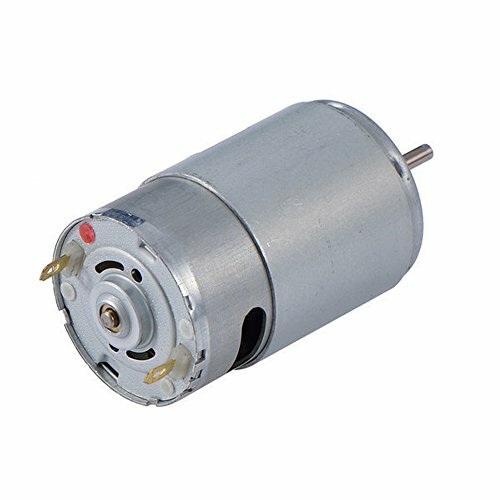 Model: RS-550s Brushed DC Motor; Rated voltage: DC 18v; Working voltage: DC 6-24V; Shaft Style: "D". Shaft Length: ~0.35 inch / ~11/32in or ~9mm; Shaft Diameter: ~0.125 inch / 1/8in or ~3.175mm; Stall Current: ~85A | Efficiency: ~70% | No Load RPM: ~20000 rpm. Designed as a Power Tool Drill motor and may replace motors in many 3/8in drills and other cordless and outdoor tools. Popular choice for DIY Electronics and Robotics, PowerWheels, and some Gate Openers. Will not work or fit in all models, be sure to check your specific applications requirements before purchasing. NOTE: If your replacing a motor please be sure to verify the motor matches your dimensions and shaft length and diameter before purchasing.